Page Speed For myRealPage Real Estate Websites – Is It Any Good? 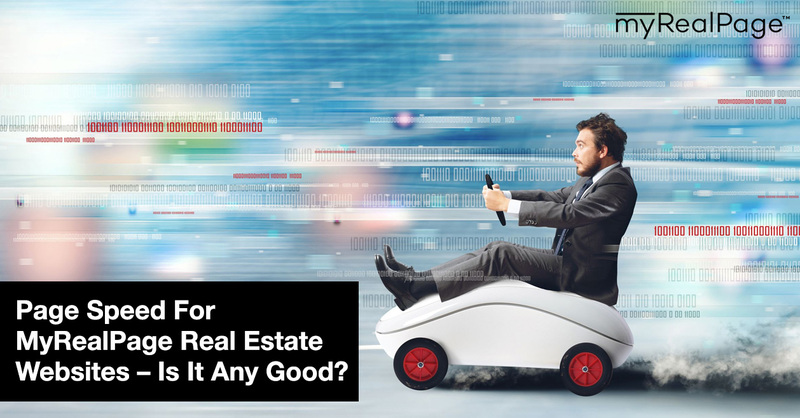 The speed your real estate site loads is extremely important. Page Speed for real estate websites matters more than ever. From a visitors perspective, no one wants to hang around and wait for a page to load. They’ll just leave and find a site that has what they need. Google and other search engines use site speed as a ranking factor. For the same reason, they don’t want to send someone to a website that is going to provide a subpar experience. After the launch of our responsive themes, we knew there was some work to do in regards to their speed. Clients and non-clients have passed along results from various sites that test website speed and other performance benchmarks. These issues and concerns are valid, and I am glad they were brought to us. As of this week, we managed to see an increase in Page Speed scores from 30% to as high as 85% as measured by GTMetrix.com on our responsive themes. We use GTMetrix.com as it offers more detail on the cause of the slow downs. We also use Google’s tools, amongst a few others. GTmetrix.com is our preferred option. For desktop site speed, we test well above average. On mobile using Google’s tool, the number looks less flattering. Mobile Friendliness is 100/100, so that is great. But the Mobile Speed is only 55/100! We were quite concerned about this. As we fixed the items the test said were problematic, we saw a significant increase in desktop speed. Mobile Speed did jump up over 20 points as well. But we were stumped why it was still in the 50’s. Then I thought, I should test other sites and see how they score. Maybe Mobile Speed is a tougher one to solve for others too. Sure enough. I used the three most visited real estate websites in Canada and the US. Realtor.ca, Zillow.com and Trulia.com. I don’t share these results to excuse us from having a higher score. We want higher scores and are working on getting higher scores, especially on mobile. Rather, mobile site speeds on the lower end are common. The more functionality a website offers, the more complex the code powering the site is. For a site to be able to do the things it is intended to do there is always give and take. Carrying this functionality over to mobile the challenges go up exponentially. The goal of a real estate website is to allow consumers to learn about real estate and search homes for sale. That should be the priority of any site owner. In the case of our websites and the other three examples, this is the case. Part of accomplishing this is imperfect speed scores. We are determined to continue to find improvements and will post results as we do. Whether we can crack the Google nut and see higher mobile speeds, I am not sure. But we’re going to try our best. For now, we are on par or above the scores of three largest and visited real estate websites in North America. I feel good about this, and hopefully, after reading this, so do you.